By Reading Is Fundamental, Inc. Developer: Reading Is Fundamental, Inc. The best reading app ever and I love it! This is a lovely way for my kids to have screen time. They are learning and enjoying the adventures! 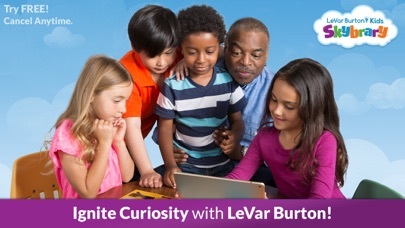 Due to legal issues, there is no Reading Rainbow content, e.g. video clips. The books are updated occasionally, but there has been no new video content for over 1 yr now. Not worth $50 yearly. I am thoroughly impressed! I wanted my granddaughter (5 yrs.) to use her iPad for something other than watching videos and playing games. 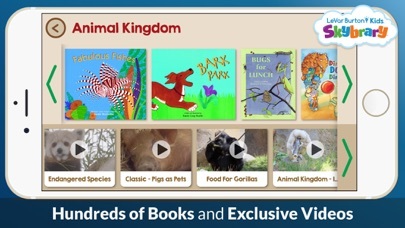 There are a huge number of age appropriate (you choose the age) books which are wonderfully narrated. 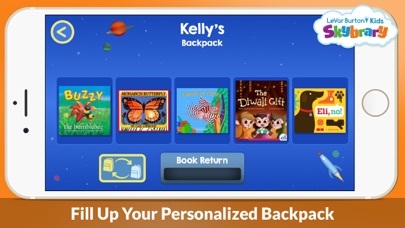 The app allows any five books to be placed in a backpack (downloaded) so children can ‘read’ even when offline. There are ‘stickers’ given as rewards after every book that is ‘read.’ This app is totally worth the money! Free month? Cancel anytime? Sounds good until they make it nearly impossible to cancel. My 5yr old son had no interest in this app. My boys love it. I like it because it’s better than the other stuff they play on the tablet. 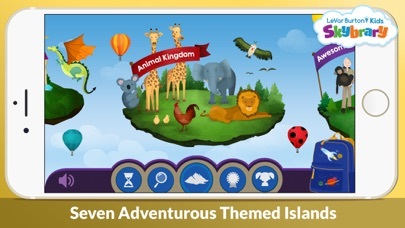 I downloaded this app when my daughter was a toddler. At the time, she enjoyed this app then grew out of it. I have since deleted it from my phone because she is much older now. Imagine my surprise when last week, my account was charged $29.99. Not cool at all. I can’t find contact info to communicate my concern with the developer of this app, hence, I have no other option but to leave my comments here. Parents be aware of the drastic price hike when using this app. More by Reading Is Fundamental, Inc.